Coordination of resources, information, and activities needed to complete business processes today is typically implemented using Enterprise Resource Planning (ERP) systems. Such solutions address, via various modules, a variety of business functions such as manufacturing, supply chain management, finance, project management, human resources and customer relationship management. All aspects of ERP require extensive communications within the enterprise as well as with external suppliers, customers and other business partners. Partly this exchange of business information could be automated by applying protocols based on EDI, XML structured data etc. However the vast majority of orders, delivery confirmations, contracts and other documents is still delivered as unstructured content on paper, as faxes or emails. MessagePlus/Open addresses these challenges by seamlessly integrating Fax, Email and SMS channels into all major ERP systems through it’s open XML based interfaces and the SAP certified integration module. Outgoing messages can be generated by the various ERP modules in different formats including multiple attachments. 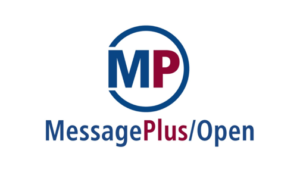 For incoming messages digital data extracted from the original documents can be supplied based on integration of 3rd party OCR software and the content analysis features of MessagePlus/Open.